RLH seeks land-based investments in various asset classes. RLH focuses on agriculture, timber, quarry and other resource properties that are often ignored by the institutional investment community. Economic cycles create situations where capital is nearly inaccessible for the regional entrepreneur, and it is in those situations that RLH presents itself as a source of opportunistic capital, frequently investing alongside local partners and entrepreneurs. 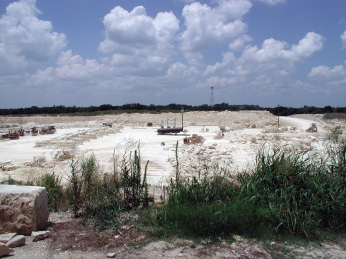 Seeking to capitalize on positive trends in the building stone market, RLH partnered with the long-time owners and operators of two limestone quarries in central Texas. The owners had reached a point in their careers where they were searching for a liquidity event, while at the same time attempting to expand their businesses across existing and new markets. By structuring a sale of the companies to RLH, the two owners were able to achieve their financial goals while retaining both an ownership stake in the combined business and the potential for additional liquidity events in subsequent years. The owners continue to operate the company, while RLH serves as a capital partner, assisting with equipment purchases, staffing, and long-range planning with a view toward market expansion and further liquidity opportunities.